Pieper’s Carpet is a family owned business that has been providing quality floor covering and installation for over 44 years with the focus on quality and customer satisfaction. We have also one of the area’s largest selections of remnants and short roll specials. We offer free measuring, estimates, and decorating ideas. We understand how difficult it can be to find just the right flooring for your home or business, and we are here to help! At Pieper’s Carpet, we can help you choose from luxurious carpets in thousands of colors and patterns or the handcrafted beauty of exotic and domestic hardwoods. We can also help you pick from our diverse styles and designs of intricate patterned tile or our durable laminate flooring, sheet vinyl and luxury vinyl tile. 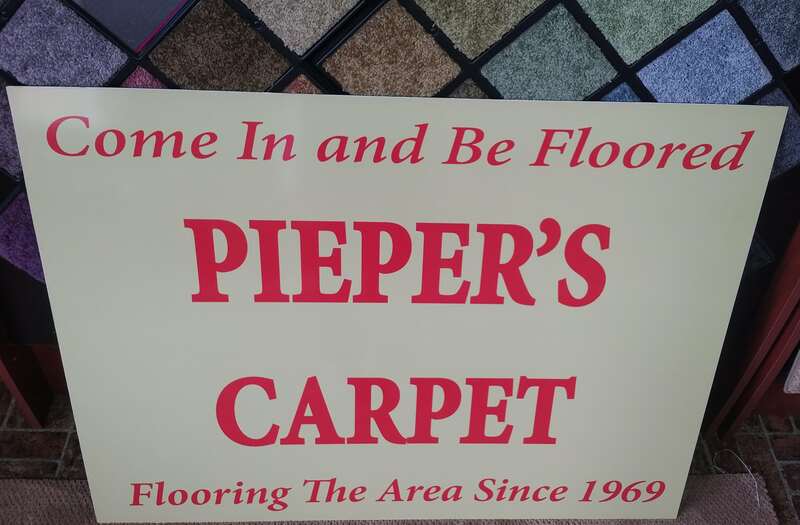 Located in Bicknell, IN, Pieper’s Carpet provides so many choices for every room in your home that lets you express your personal style.